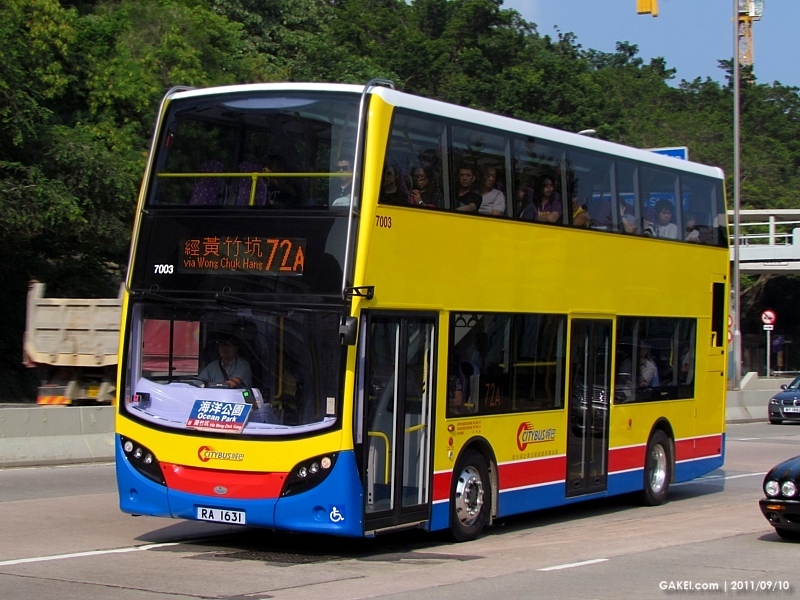 For many years, air-conditioned double-deckers in Hong Kong have been given a third axis in order to comply with the local regulation that requires the gross weight of a 2-axle vehicle must not exceed 16 tonnes. 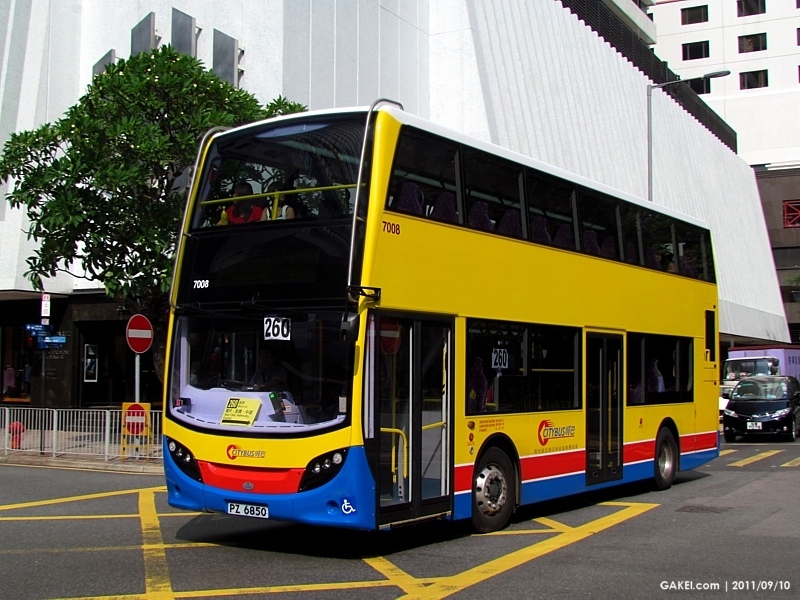 The rule is recently relaxed and two 10.5-metre Alexander Dennis Enviro400 demonstrators were introduced to Citybus and Kowloon Motor Bus in 2010. 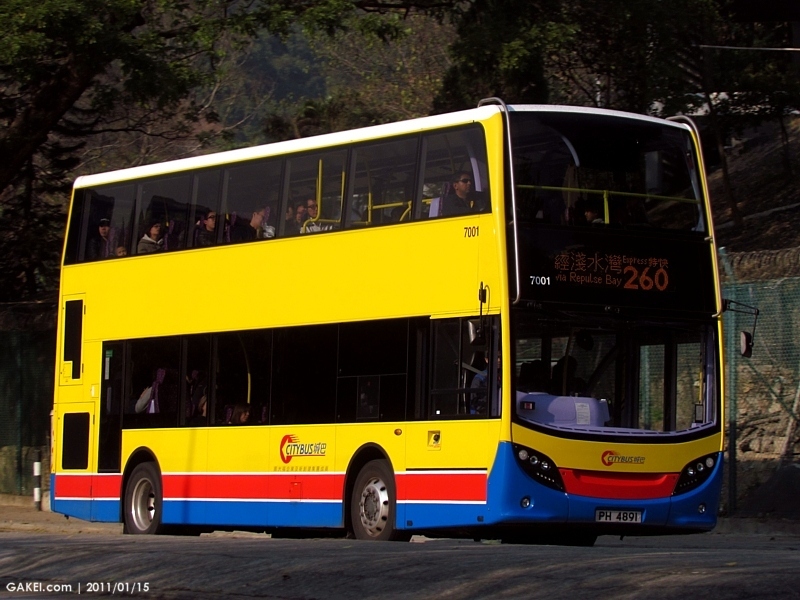 These are the first 2-axle low-floor double-deckers in Hong Kong. 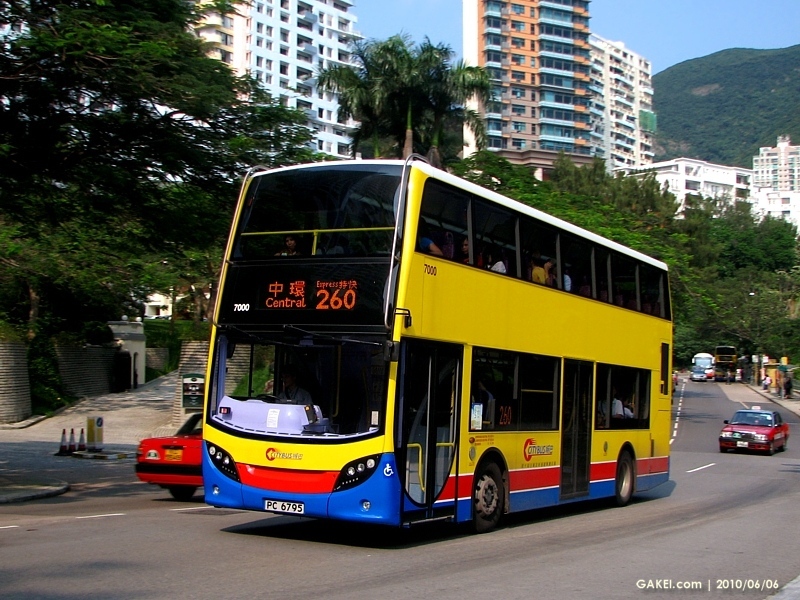 The design of the vehicle is derived from the 10.1-metre long version in the United Kingdom, with a longer rear overhang to accomodate the air-conditioned equipment. 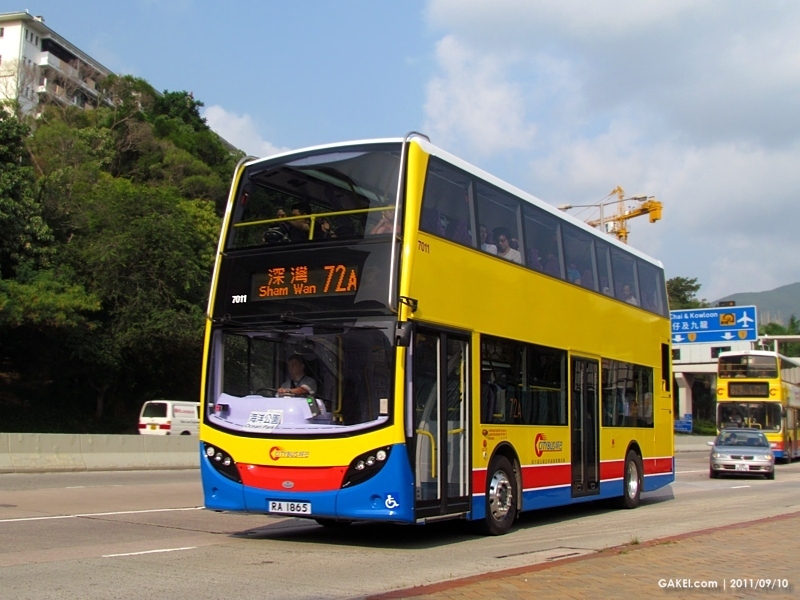 The Citybus demonstrator is assigned a fleet number of 7000 and was licensed on 1 February 2010 as PC 6795, which was subsequently put into service on Route 117 on 8 February 2010. 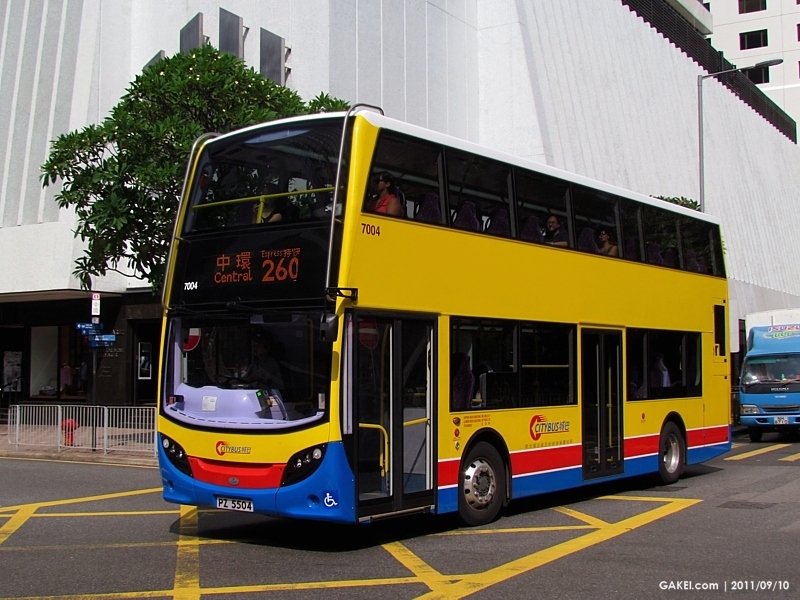 Citybus received the second Enviro400 (7001) which was subsequently licensed as PH 4891 on 2 July 2010. 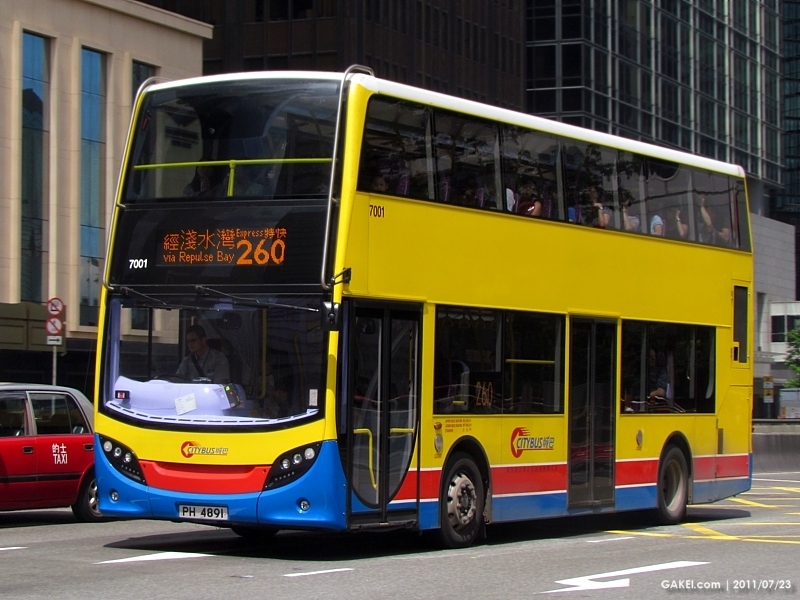 An initial production order of 38 Enviro400 buses (7002-7039) was placed in 2010 and the buses started entered services in 2011.